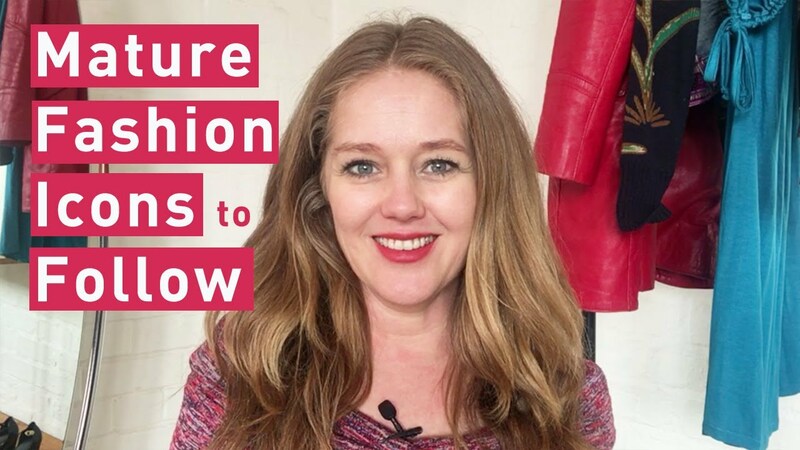 In this video I tell you why I think it's important to follow mature fashion icons and I give you my top three that I follow. Iris Apfel | Linda Rodin | Stella McCartney - mature fashion icons to follow In this video I tell you why I think it's important to follow mature fashion icons and I give you my top three that I follow. Why are mature fashion icons important? I want to see women older than myself and or my own age, doing it and looking good. It inspires me to see women not giving up on themselves just because they are getting older. We are often bombarded with media images focusing on being young to be beautiful. Well the fashion industry is changing. They are finally starting to listen to us, that as women over 40 are not ready to give up on fashion. We want to see images of women who are doing it with style. Iris Apfel is in her 90's. She creates these incredible Iris Outfits and looks fantastic. She believes that dressing should be fun. Linda Rodin has a sassy, yet feminine look. She wears little makeup except her bold lipstick and wears her signature glasses or sunglasses. She is not an advocate of plastic surgery. Stella McCartney is a similar age to me and she looks great. As a designer, she focuses on making clothing that women love to wear and feel comfortable in. She is an advocate for anti animal cruelty.